I am the tap dance teacher for Tremaine Dance Conventions. to make eye contact with every student in the room. I do not look at parents while I’m teaching, because I save that smile, that energy, for their kids. Making eye contact builds relationships. Every interaction does not result in something deep or meaningful, but those small, brief interactions open the door. Making eye contact is my way of doing my best work. I try to make each student feel special. I travel around the room, and I work up a serious sweat. By the end of the hour, these brief encounters turn into two-way compliments, sweaty hugs, quick selfies, and sometimes 30 seconds of exciting storytelling. And just like that, the door is open, the connection is made, and the foundation is laid for a long-lasting, tap-happy relationship. I love their trust and optimism in adults. 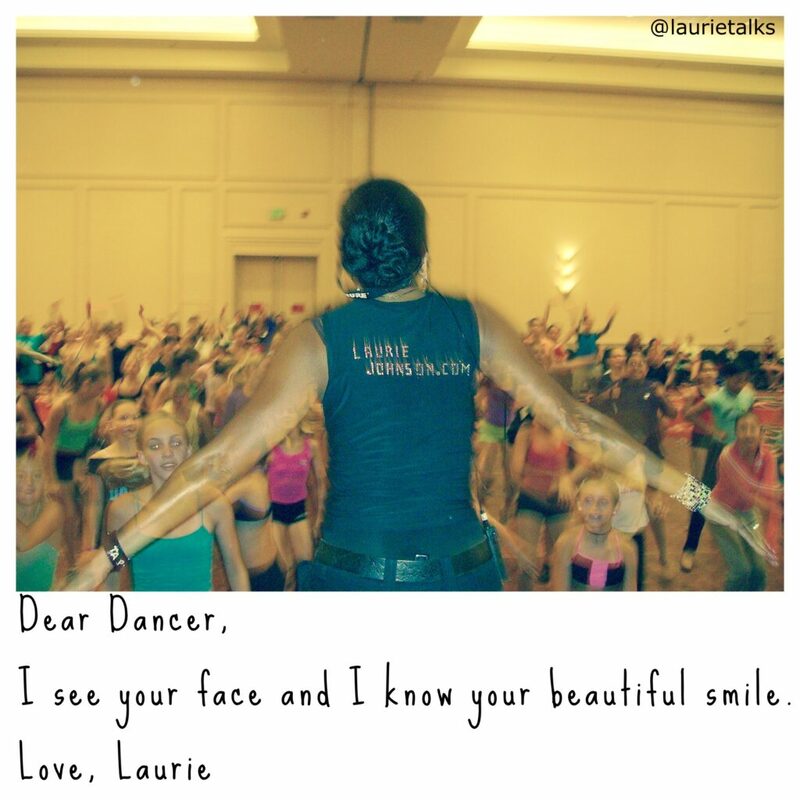 So, yes, dancers: I see you, and I remember you. And I know you see me seeing you. I know your face and your smile. I notice that you may be more confident this year than in the past. I get why you don’t run up and throw your arms around my waist like you did when you were seven years old. For one thing, you’re taller! I’m glad you believed me when I told you how beautiful you are and how unique your talent is. And dancing has never been better than right here, right now, because you’re here. Next: Am I Happy Enough?